Has your Elf on the Shelf overstayed his welcome? Maybe you ran out of ideas, your kids have gotten older and are no longer interested, or even cutting back on obligations for the holidays. 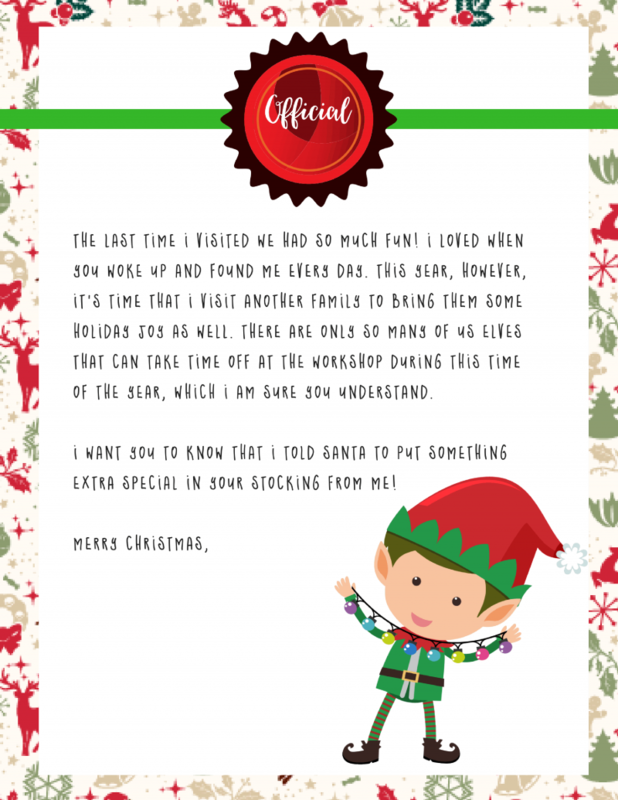 No matter the reason why, if its time to say goodbye to your elf, you can send him on his way with this elf shelf goodbye letter. Just simply head to your desktop, download the free pdf file, and print! Then leave the letter on the table or if you want a bit of fun, put in the mail and have it delivered from the North Pole! There are two printables, a female elf and a male elf, wrapped in a cute holiday frame and with an “official” letterhead. The PDF file contains both letters but if you only need one, just pick which page prior to printing. You can also customize it with a signature or add your child’s name to the top! Also check out this Elf on the Shelf Goodbye Letter free printable from my good friend over at 730SageStreet! The printables on momdot are free of charge, however, I do ask that you do not link directly to the PDF file, resell, or use commercially. This is a violation of the terms of the graphics. You may use for personal usage (parties, classrooms, home school, church) as desired. Love these printables? Try my printable category for more fun! Hello~! Welcome to MomDot. My name is Stephanie and this is my little spot on the web! Feel free to contact me here, I love hearing from you! MomDot.com is a participant in the Amazon Services LLC Associates Program, an affiliate advertising program designed to provide a means for sites to earn advertising fees by advertising and linking to amazon.com.